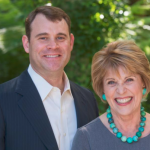 The University of California San Francisco Department of Psychiatry will receive a $20 million gift from longtime UCSF donors Dagmar Dolby and her son, David, to establish the UCSF Dolby Family Center for Mood Disorders. The new Dolby Center will bring together all aspects of research and patient care, spanning the entirety of USCF’s neuroscience offerings to support opportunities for cross-disciplinary and cross-institutional collaborations. This gift expands upon the Dolby family’s 2015 investment in mood disorders research at UCSF, which also included funding to support clinical research and treatment programs, and to establish the Ray and Dagmar Dolby Faculty Scholar Fund, which supports junior faculty with a special interest in mood disorders. Click below to learn more about this gift and mood disorders research at the University of California San Francisco.